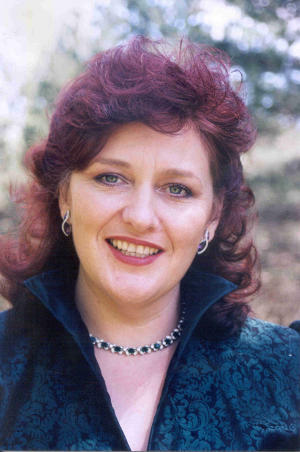 The concert, A Portrait in Music on 12 February in St Mary's Church, is an evening in the company of the internationally acclaimed mezzo-soprano Catherine Wyn-Rogers with her fine accompanist, the German pianist Klaus Sallmann. The concert, A Portrait in Music on 12 February in St Mary’s Church, is an evening in the company of the internationally acclaimed mezzo-soprano Catherine Wyn-Rogers with her fine accompanist, the German pianist Klaus Sallmann. In a varied and delightful programme Catherine will perform pieces from HANDEL and Wagner to Elgar and beyond. Aiming to encourage and entertain all music lovers, the series is promoting a broad range of orchestral music, solo recitals and choral offerings of a quality generally associated with larger towns and cities. The Reverend Rob Axford said: “Once again we are bringing high quality music to the town and I am delighted that we are able to hold such a prestigious concert series in the church. The first concert was brilliant and made full use of the church’s s excellent acoustics. I am fully expecting the second concert to be as successful further encouraging us to make this an annual event”. The third and final concert of this first series, Music from Fauré’s France will be held on 2nd April 2011. The great Requiem by Fauré, his much loved Pavane and the Cantique de Jean Racine are in striking contrast to Poulenc’s dramatic and magnificent Concerto for Organ Strings and Timpani. Acclaimed Gloucester cathedral organist Ashley Grote and BBC Chorister of the Year Laurence Kilsby join the Bristol Ensemble and the St Cecilia Singers in a programme conducted by Benedict Hoffnung. St Mary’s Church is one of the oldest churches in the region and has a reputation for excellent acoustic properties. It also houses an organ that is reputed to have been played by Handel at its previous location in St Martin in the Fields, London having been given to that church by King George I. Tickets range from £25 in the centre to £5 where there is a restricted view. 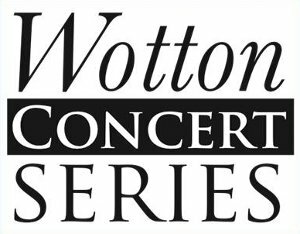 Full details can be obtained from the Booking Office on 01453 843144 or by visiting www.wottonconcertseries.co.uk. Did you know that you can contribute stories, articles, photographs, pictures, drawings, and poetry to this website? Send us an email for more information. We'd love to hear from you!